If you or someone you know was born in June, these necklaces are perfect, perfectly simple and stylish! 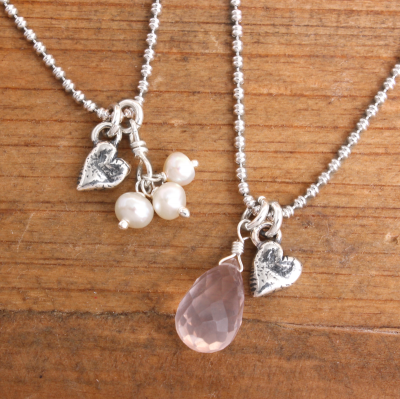 June babies are lucky because they have two birthstones to choose from - pearl and rose quartz! 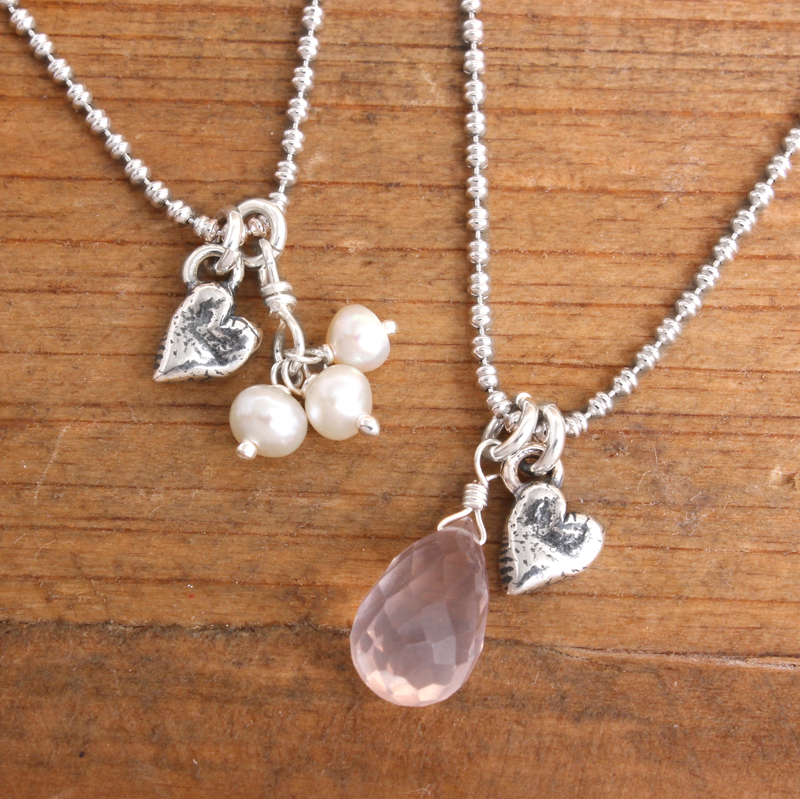 We are offering your choice paired with a small silver organic heart hanging on our ocho chain. This listing is for a 16" chain, one heart charm and your choice of either a Rose Quartz teardrop stone or three petite pearl wraps. All silver is sterling and the stones are real Rose Quartz and freshwater pearls. I love this necklace! So pretty, and it's the perfect size. Great for every day wear, it goes with everything!